I have been using magnesium supplements for years to make sure my magnesium levels are sufficient given the amount of exercise I do as a professional triathlete. Magnesium plays an important role in over 300 body functions and endurance athletes / triathletes can be prone to low magnesium levels. However, a damning 2015 report by the New York Attorney General accused various big-box retailers, including: Wal-mart, Walgreens, and Target, of selling supplements not containing the ingredients they were purported to and that had me questioning every supplement I took. 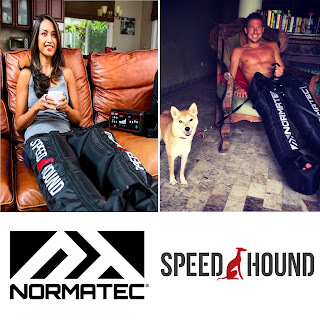 As a professional triathlete, I am responsible for knowing what I put in my body and because of that report I sought out products that were manufactured under GMP standards (Good Manufacturing Practices). I was fortunate enough to discover MgSport and I have since replaced my big-box retailer magnesium with MgSport. There has been a lot written about Magnesium and why athletes need it, but I don’t want to recreate the wheel. Just know that despite eating a nutrient dense diet, I would never go a day without also supplementing with magnesium. It is cheap insurance as far as I am concerned. What I do want to highlight are the benefits of MgSport specifically. While MgSport actually contains what it says it contains, it also contains a more expensive, but more absorable form of magnesium. Most supplements you will find in stores contain magnesium in the form of magnesium citrate. In clinical research, the magnesium in MgSport was found to absorb 3x times better than magnesium citrate. While athletes typically deplete their stores in hard summer training in heat & humidity, magnesium levels ARE NOT something that can be corrected overnight and need to be built up over time. Right now is the best time to start building those stores back up!!! MgSport is made in the USA and has GMP certification and does have a Certificate of Analysis (CoA) done by a 3rd party. This CoA is important for athletes who will be drug tested for doping as many stories of cross-contamination are occurring and having it certified makes sure it has what it says it has and not banned substances. MgSport magnesium also contains vitamin d which is essential for calcium absorption to strengthen bones, along with vitamin b6. Lastly, the pill is significantly smaller than store bought magnesium citrate. This is possible because the magnesium in MgSport is more absorbable and you don't need as much of it to get the same effect. As for me, I take one MgSport capsule at bedtime. Magnesium absorption happens best during sleep + it is also known to improve sleep quality. You can get your own supply of MgSport and save 20% with coupon code TGMS2017 (Expires 12/31/2022). 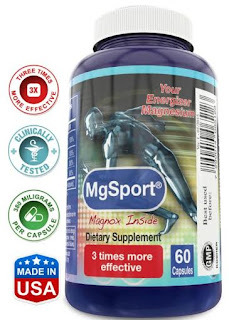 Just visit MgSport Magnesium on Amazon and add the coupon on the "Shipping & Payment" screen. Lastly if you are a triathlete or endurance athlete, I am setting up a FREE Q&A group on Facebook. Feel free to ask any questions you might have about Magnesium or anything else you can think of. You mention other supplements come in Magnesium Citrate form. In what form is MgSport? Why is that delivery better? The form is more bioabsorbable, meaning your body is better able to absorb it. Please check the label if you are curious about what exactly is in MgSport. You can see a picture of it on Amazon. For personal liability reasons I won't comment on specific ingredients is why I do not specifically talk about it in my blog post. Thanks, Thomas. Always appreciate your feedback and comments both here and on ST. Your magnesium levels don't rise and fall quickly and you don't want or need to take huge quantities, you just need to be consistent to get your stores back up. Winter is the best time to do so as you are training less, sweating less, and losing less. You also should take your magnesium supplement at night. And lastly, fwiw, this product doesn't use Magnesium Citrate. The pragmatic approach of the writer in this blog is praiseworthy. Do you like one form of magnesium over another? Brimming with grand and virtuosic words.